George Clooney is the essential American. The essential white American upper class male to be politically correct, because being politically correct is something Clooney takes quite seriously. His nature is calm, collected and suave, being as cool and crisp as a Labor Day afternoon. He delivers his lines with poetic insistence and looks at the other actors with sharpening charm. His onscreen talents are limited to a character that can match up with his own personality, but he plays them so damn well it doesn’t matter. Though his range is limited, he smartly remains diverse in his characters, avoiding becoming a one note pretty face actor like a similar storied Jenifer Aniston. After making his break for being a hunk on the hit show ER in the late 90’s, Clooney slowly evolved his career by working with Steven Soderbergh in the Ocean’s series and the Coen brothers along with other notable directors, turning his off-screen GQ cover aura into living characters with the same wowing affect. A handful of philanthropy efforts and notable directing, writing and producing jobs which won him awards. But lately, Clooney has brought back the kind of class movie stars used to carry and embody in the 40’s and 50’s. Though it may not appear so, Clooney’s talent is making it look so easy with the utmost esteem and adoration, making him the original class act of the new Hollywood. Clooney plays the likable unlikable guy, a corporate executioner who travels all over the U.S. to fire mid-levels whose positions have been eliminated. It’s his job to swoop in and let them down as soft and suavely as his persona, which is as Clooney-esque as his Esquire personality. He fits into the role as snug as a suit, and travels far into character depths, exploring every mile there is to offer. A brilliant movie and it’s just the ticket for Clooney. Perhaps one of the greatest fits for Clooney is in stories where he is able to show off his silliness and charming ridiculousness. In the Coen’s modern adaptation of Homer’s The Odyssey, he gets this opportunity. His delivery in on with perfect comedic timing and only finds ways to enrich the already flouring film. Corporate law warfare is everywhere in Michael Clayton. As a fixer for a prestigious law firm in New York, it would seem Clayton would have it all and not have all that many worries. But with a gambling addiction, a failed business and a dirty case involving a large and lethal agriculture conglomerate, Clooney has plenty of grounds to build up from. Though his performance doesn’t match the ferocious and tightly-wound Tilda Swinton, he manages to show off his leading abilities in one of his best films. 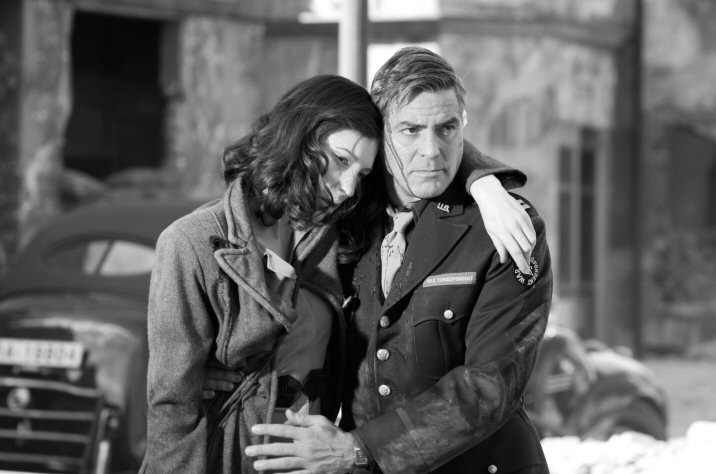 Following Soderbergh, Clooney takes a role that matches the decade and era of his persona. In a noir tribute to films like Casablanca, Clooney plays a Bogart inspired character as an American war correspondent placed in Europe at the fall of WWII. Though it is hardly the definitive performance from Clooney or by any standard a stand-out film, it ranks above average to become an interesting watch. 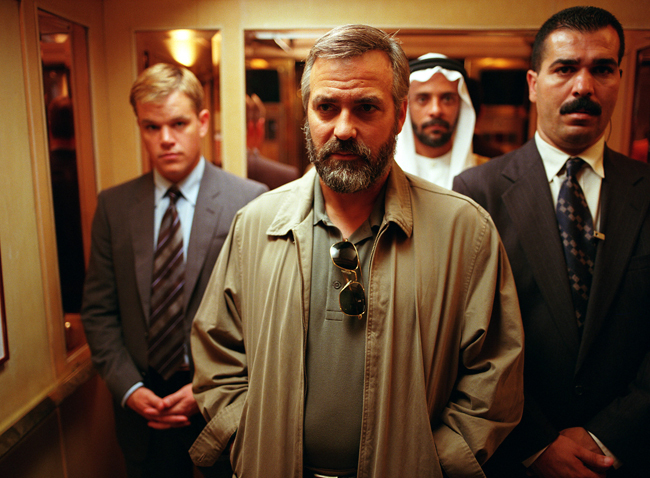 In his other corporate politics film, the one he won his Oscar for, Clooney plays a CIA operative sent to do dirty work in the Middle East. 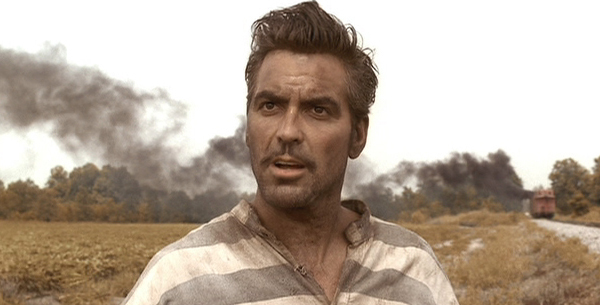 The film crosses story-lines and the world, but never is the sheer talent of Clooney lost in the movie. This entry was posted in Features, News and tagged Best George Clooney Movies, Best Performances, ER, George Clooney, GQ Esquire Coverman, Michael Clayton, O Brother, Ocean's Eleven, Sexiest Man Alive, Syriana, The American, The American Reviews, The Good German, Where Art Thou? by LukeMiller. Bookmark the permalink. As a sixth choice, perhaps ‘Out of Sight’. I think it was a breakthrough role for him at the time and announced to a lot of people his real leading-man potential. Still a great film too. I agree, it was a tough choice between that or The Good German. As you said above, Clooney is doing everything right unlike someone who took the same path, Jennifer Aniston. Even though he has a relatively limited range, he has done a good job of playing varied characters who are remotely similar but different enough to feel refreshing. Indeed. One note actors have a chance, Clooney is proof of that. Steven Soderbergh’s Out of Sight (1998) was a spectacular crime movie. 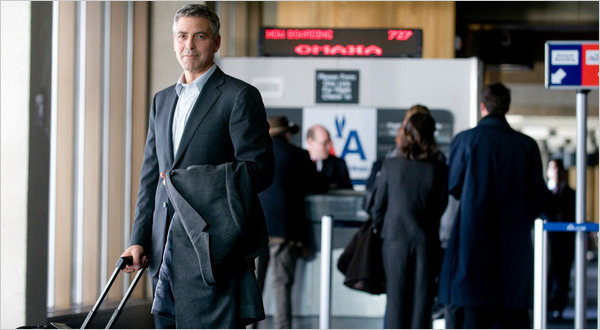 George Clooney is Jack Foley, a lifelong crook who specializes in talking bank clerks out of large sums of money. Jennifer Lopez is Karen Sisco, a cocksure, Florida-based federal marshal who adores her dad, guns and unsuitable men; her current squeeze is grandstanding FBI agent Ray Nicolette, who’s both married and a dope. Jack and Karen meet when she accidentally interrupts his jailbreak, and she winds up sharing a couple of hours with Jack in the trunk of his partner Buddy’s car. During the cramped, sexually fraught trip in the trunk, Jack and Karen reluctantly fall for one another. Even after she escapes, Karen fantasizes dreamily about Jack; he’s doing the same, while he and Buddy plan to rob smug Detroit financial whiz Richard Ripley who keeps millions in uncut diamonds in his house and wasn’t smart enough not to talk about it when he was doing time for insider trading. Elmore Leonard’s sharply drawn characters are perfectly cast, including Ving Rhames as Buddy; Albert Brooks as Richard Ripley; Steve Zahn as Glenn; Don Cheadle as psycho boxing buff Snoopy Miller and Nancy Allen as a beleaguered victim of his gang; Luis Guzman as a prison hard-case; Catherine Keener as Foley’s flaky ex-wife; and an uncredited Samuel L. Jackson as a prison-bound con whose interests dovetail serendipitously with Foley’s. Steven Soderbergh’s direction strikes an apparently effortless balance between grit and glamour. He out-does Tarantino.